" Works as the advertisement stated. 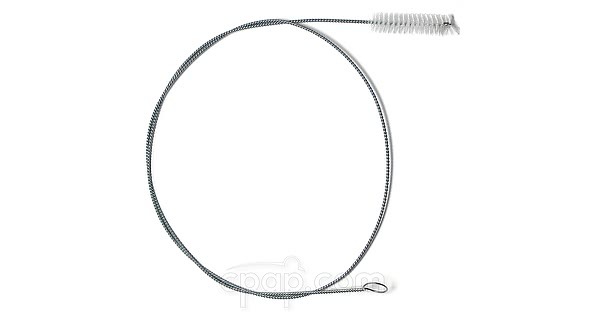 100% satisfied with the product & CPAP.com "
" Keep your CPAP hose clean! A must product for excellent cleaning procedures. " 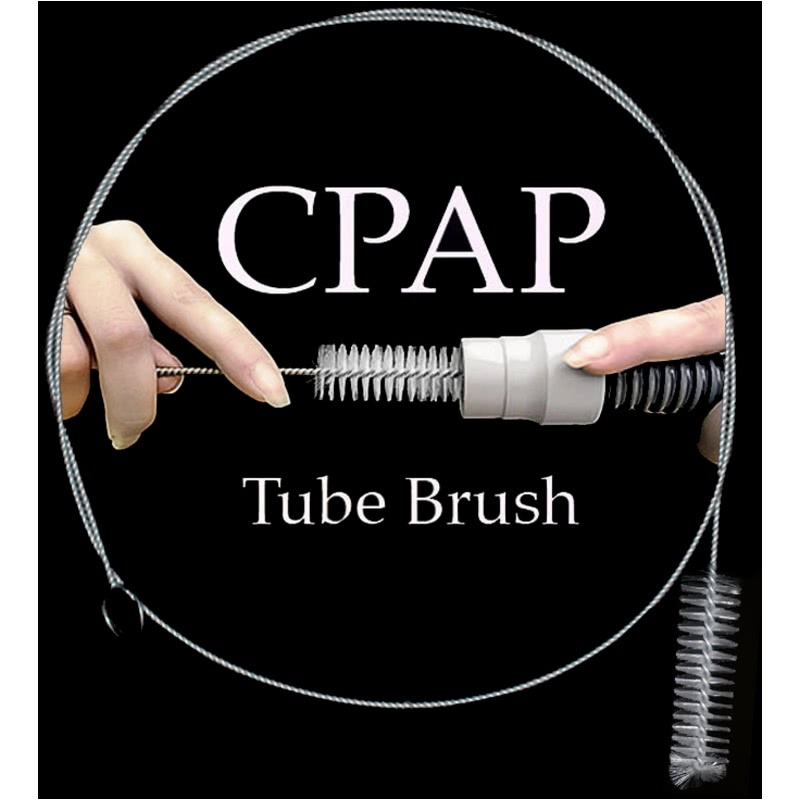 The CPAP Tube Brush Second Gen is an advancement on the widely popular first generation tube cleaning brush. The second generation adds stainless steel and the choice between a brush for standard or slimmer hoses. Manufactured by Monaco Products, Inc.
To use, insert the brush end of the stem into the CPAP hose and gently scrub the inside liner as the brush is worked back out. Click here for more detailed instructions on use. To view information and reviews of the first generation brush, click here. 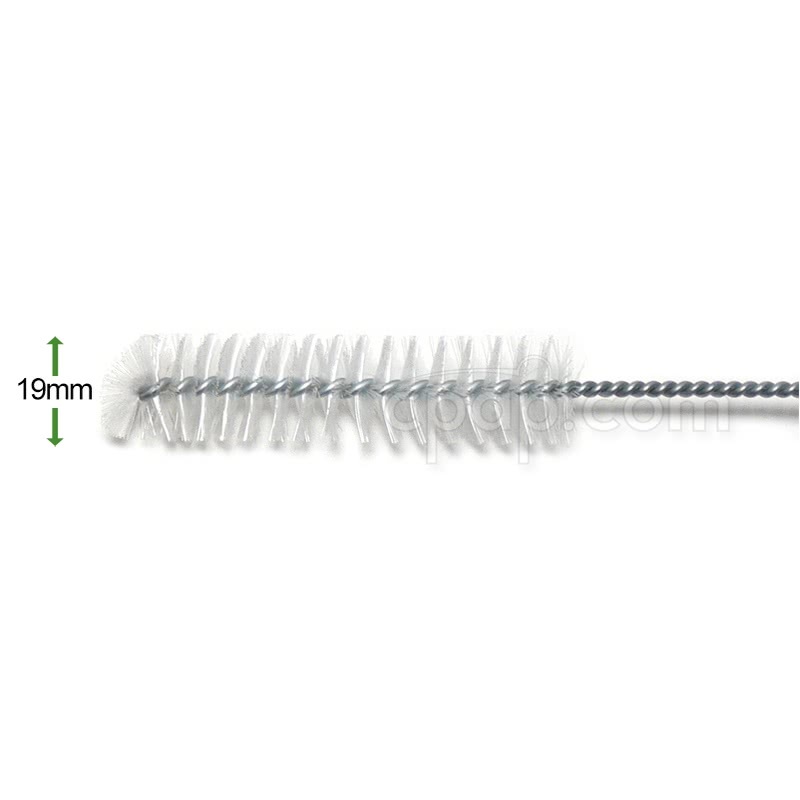 The 19mm brush is for use with "Standard" or "22mm" hoses which have an inner diameter of 19mm. 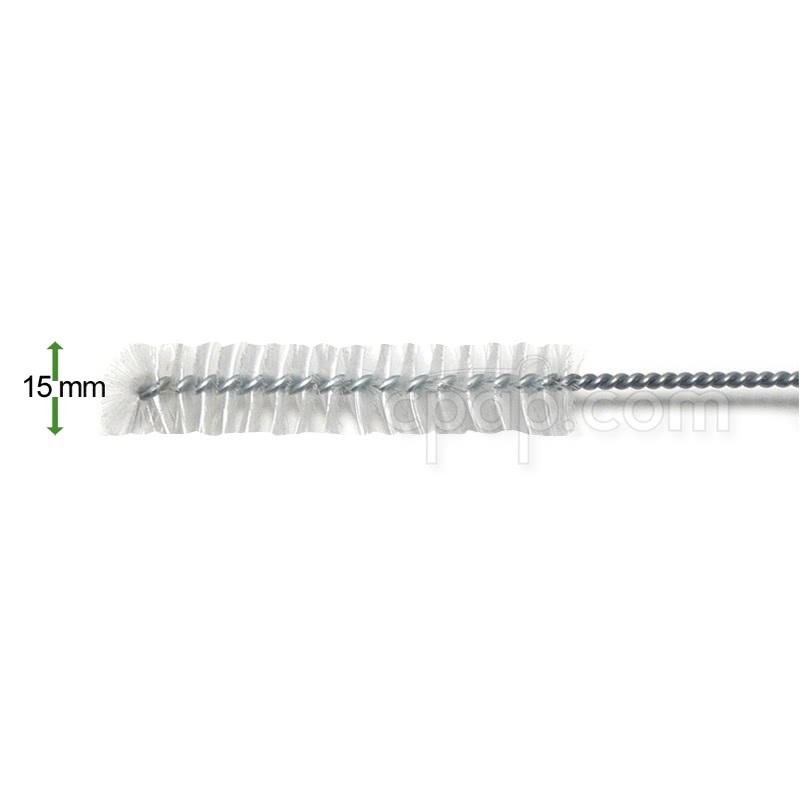 The 15mm brush is for use with "SlimLine" hoses which have a inner diameter of 15mm. While holding both ends, unwind and straighten the tube brush carefully. To avoid fatigue on the stem by winding and unwinding, it is suggested to find somewhere to hang the brush. Before using the brush, wash with a mild detergent and warm water. Afterwards use cool water to rinse throughly. A mild detergent and luke-warm water should likewise be used when cleaning the CPAP hose. While keeping the hose as straight as possible to prevent unnecessary wear or damage, carefully work the brush back and forth in short movements, gradually working deeper into the hose. Insert the tube brush into the opposite end of the tube to clean the other end. The fan tipped brush reduces pressure on the inner wall of the hose. Avoid aggressive use when cleaning using the brush. Thoroughly rinse the hose with cool water after cleaning. 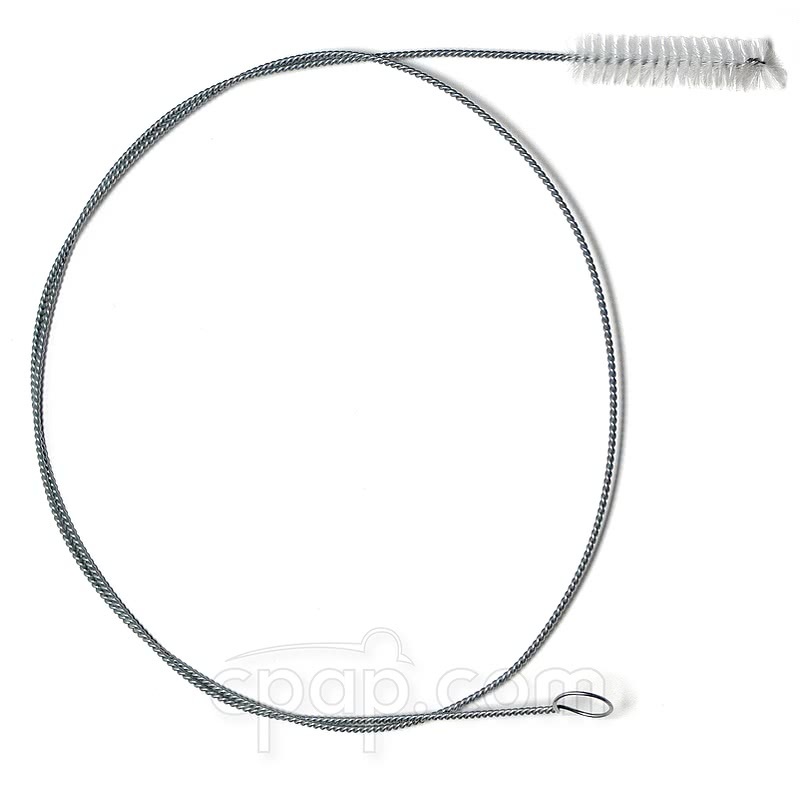 To dry the interior of the hose, connect it to the CPAP machine and allow it to run for approximately 15 minutes or until the interior moisture has evaporated. Gently dry the bristles by patting with a towel or cloth then hang the brush in a room with proper air circulation. Cool or luke-warm water is recommended because hot water can dry out plastics and shorten their lifespan. Important Note: CPAP.com is not responsible for tubing that is damaged as a result of improper cleaning procedures. 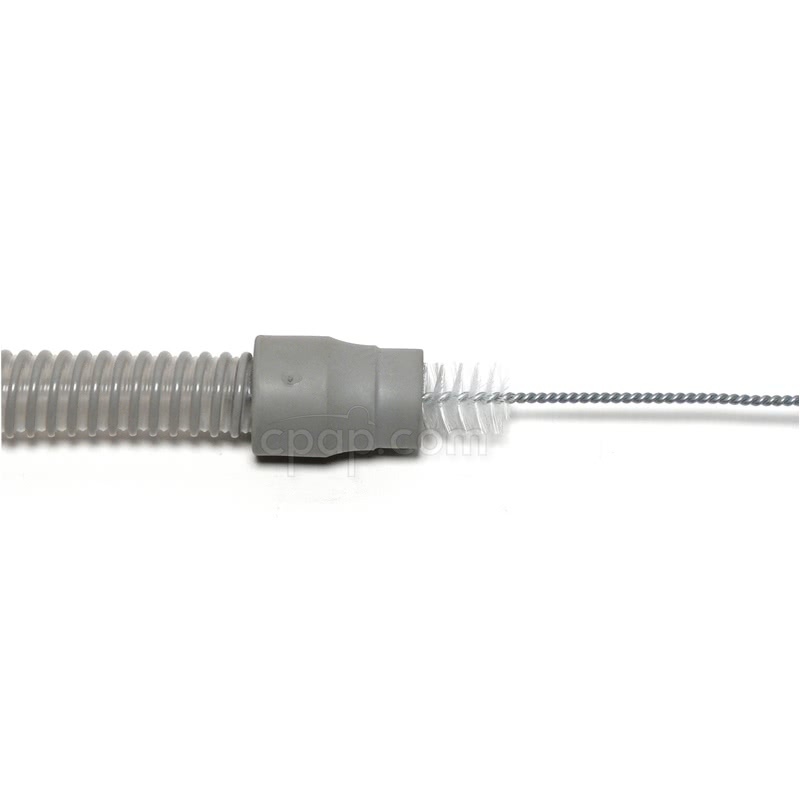 The CPAP Tube Brush Second Gen is sold solely for the purpose of maintaining CPAP tubing. The manufacturer is not responsible for consequences of any other use.